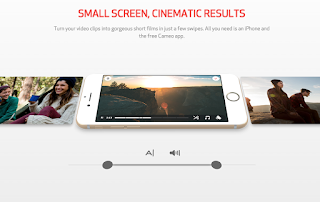 Cameo makes editing mobile video so easy and delightful. You can trim your clips by dragging the handle-bars left or right, or you can long press on a handle-bar to get an even more precise trim down to the tenth of a second. Duplicate clips on the timeline to adjust and trim only the portion of the clip that you want in your film. Add titles to each clip, boost or mute sound from a desire clip. Add custom theme filters to give your film the right color look, and the great part is that Cameo will automatically color match that look across all the clips in your film. Lastly, add from a plethora of musical genres to give your film the perfect musical score to enhance your film for better storytelling. The most important aspect of any film is the editing, the equipment used does not matter as much if the story is interesting. An interesting storyline can be ruined if the editing is sloppy. With Cameo the editing takes something that is normally a difficult task and simplifies it by making video editing simple and elegant. 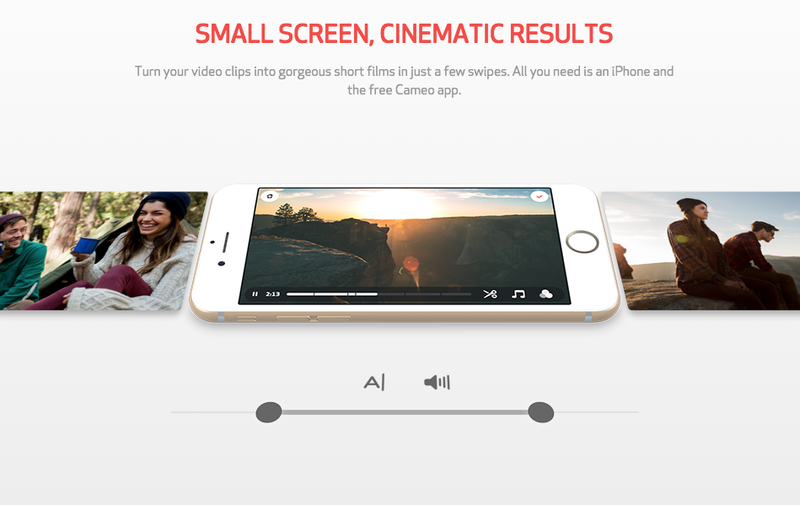 The best part of Cameo is that it is always in your pocket so you can edit on the go. With mobile video blowing up exponentially in the last few years, especially with social media services like Twitter, Facebook, YouTube, Tumblr, Google+, Vine, Instagram, and of course Vimeo all being popular destinations to upload video to, using Cameo to make those videos great is a no-brainer! Also, be sure to checkout some of the other Cameo creators; https://vimeo.com/groups/cameo.